If you haven't met me then you probably don't have a good idea of what I would look like in person. 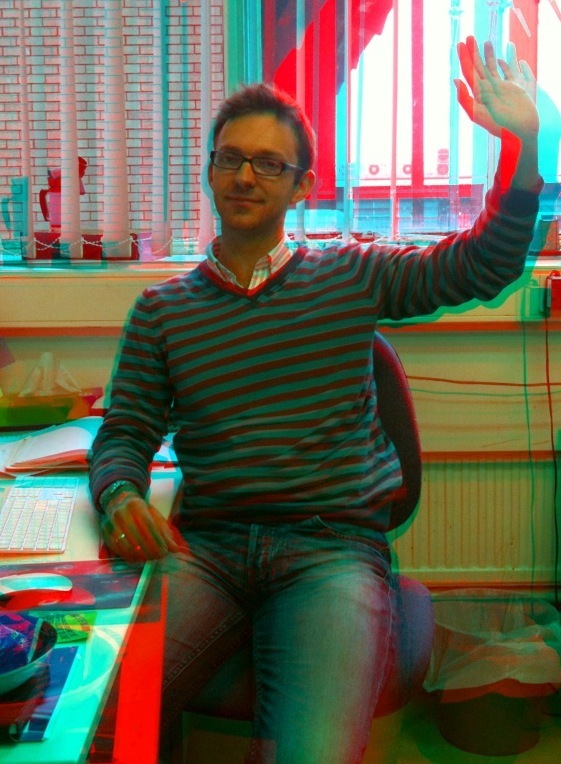 Here is a pseudo 3D image of me taken by my friend Jon. Its a stereogram made up of 2 images (and me holding still in between). You need those red-blue cheapy 3D glasses that used to come free with comics when I was a kid (not the more advanced ones cinemas now boast in IMAX) to see the full effect. If you start feeling a little motion sicknes - you're just being a baby.